Deuterium is the heavy twin brother of hydrogen; however, it is more than 20 times rarer than identical twins. It accounts for only 0.015 percent of natural hydrogen and is twice as heavy as the light isotope. There is no chemical difference between the two isotopes: both deuterium and ordinary hydrogen react with oxygen to form water. Its double mass allows researchers to lay a trail to elucidate chemical reactions or metabolic processes, however. They dispatch a compound containing deuterium into the processes and analyze in which conversion product it turns up. And this is only one of the tasks that deuterium fulfils in research. It may even become an inexhaustible and climate-neutral fuel in future. This would be the case if nuclear fusion becomes so technically mature that energy is generated on Earth using the same process that also occurs in the Sun. This produces much less radioactive waste than nuclear fission. 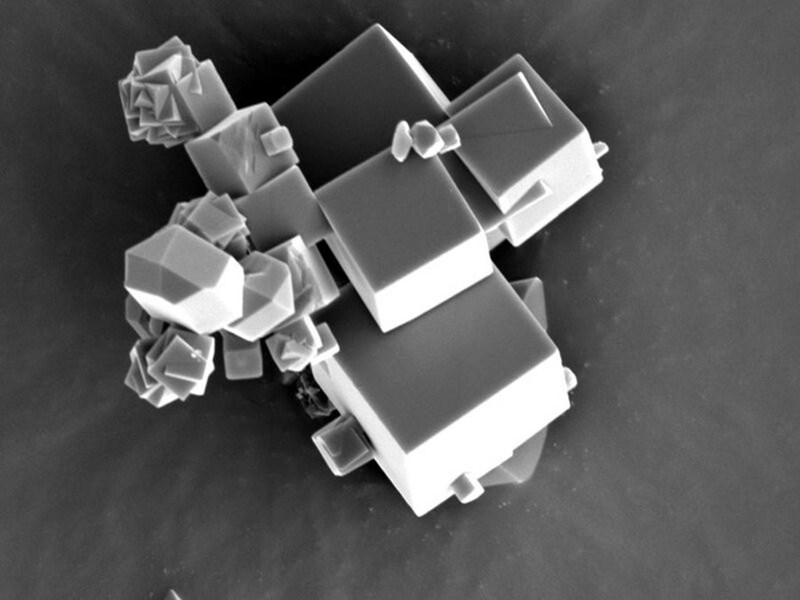 In a cooperation established within the DFG German Research Foundation's priority program "Porous Metal-Organic Frameworks" (SPP 1362), a team of scientists from the Max Planck Institute for Intelligent Systems in Stuttgart, Jacobs University Bremen and the University of Augsburg have now been able to enrich deuterium contained in hydrogen more efficiently than with conventional methods. The findings are reported in the journal Advanced Materials. The researchers discovered that a certain metal-organic framework, abbreviated MOF, absorbs deuterium more easily than common hydrogen at temperatures below minus 200 degrees Celsius.